Did you just search: kid friendly pubs near me? I know I have done that before. 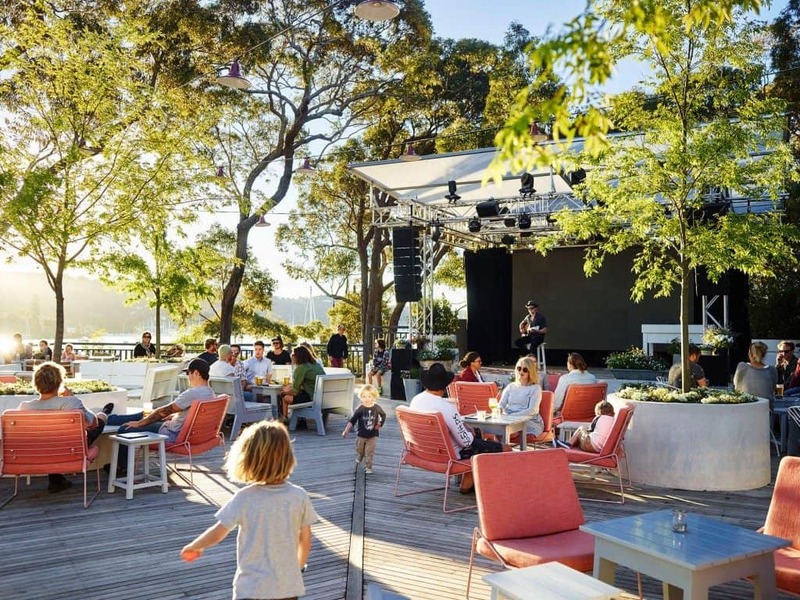 That’s why we have compiled this huge list of the best kid friendly pubs Sydney – that is those pubs that welcome children and have playgrounds or play areas so the toddlers and young children can have fun before and after their meal while the adults are talking! We’ve broken our list of pubs up into the areas of Sydney: Eastern suburbs, Western suburbs, Northern Beaches, Upper and Lower North Shore, Northern suburbs and Southern suburbs. The Coogee Pavilion is a wonderful place for your children to have a great time and enjoy the marvelous food. The ground floor is perfect for family get-togethers and casual dining. The menu offers amazing food, and the games arena offers giant magnetic Scrabble, ping pong and much more! the BACKYARD is a wonderful place to take your family for a meal. The kids menu has so many options to chose from and has some fun activities too. the BACKYARD offers gelato as a dessert which will defiantly please the little ones. The Henson offers a wide range of meals for the kids to choose from. It’s not just the classic pizza, pasta and chips, they offer much more for the kids to try. There is a kids play room so the little ones don’t get bored during your visit. KidsShack is an indoor kids play center and cafe that offers all visitors a chance to enjoy their time. Their party rooms are said to be one of the best in Sydney. Designed by an international renowned artist, whom was specially flown to Australia to design and hand paint their party rooms. The Greystanes has two MASSIVE fenced off playgrounds and a awesome five-storey maze! Next door, there is a paddock of gum trees and a fantastic flying fox that offers a 10 meter flight! On the weekends, there is a jumping castle (weather permitting), and so much more! This restaurant not only serves great food, it also has an awesome indoor kids playground. The play area is split between a toddler area (ages 2-4) and a kids room (5-10 years old). The restaurant has a Gelato Bar and can offer kids parties. The Kid’s Backyard at the NBC Sports Club is an amazing place to take your family. It offers one of Australia’s largest jumping castles, Tiki Island. It also includes so much more fun things for kids. Let the kids play, while you can dine in their enclosed verandah dining area. How many pubs do you know that feature a rock climbing wall? now, it’s at least one! An arcade room is full of machines from basketball hoop challenges to a Pokemon style game. At the Ettamogha, the operate on a system of tokens, witch you can buy from machines, (Fifteen minutes on the rock climbing wall is five tokens). If you choose to eat with your family at the Panania Diggers, everyone will find something for their needs. The menu offers a variety of meals, with your bistro favorites, as well as salads. As a bonus, kids eat FREE every Monday night for dinner. The restaurant also has free Wi-Fi, but that shouldn’t be necessary with the amazing playground, including an train carriage, a fort and much more. The food at this place will fail to disappoint even the fussiest of eaters! The ‘Kids Zone’ has been created for any use. You can play, eat in the restaurants, carnivals, shows, parties and much, much more! There are also fun activities such as, Playtime arcade, Aqua golf, iFly indoor skydiving and more! Perfect for large families as well as small with an ‘alfresco marketplace feel’ so all members of the family from the super casual to the very fussy can choose from their variety of food outlets and experiential areas; each with their own style and personality. We love their huge communal deck surrounded by gardens – and the fact that they are not only kid friendly but they are also dog friendly. Simple breakfast menu, smoothies, juices, fresh-baked bakery delights, and coffee from Will & Co. The Kiosk has share platters and dishes of meats from their French rotisserie. At The Shack you can take your pick from a range of mouth-watering burgers, fish and chips, salt and pepper calamari, as well as seasonal salads and grilled options, and, of course, there’s the kids’ menu. These guys also make a amazing wood fired pizzas. You can watch the team fire the stove and deftly prepare hand-made pizzas until the late-night hours. The antipasto platter and Nutella calzone are also not to be missed. For the seafood lovers, pop over here for some freshly shucked oysters, prawns and a selection of seared seafood salads and Asian inspired noodle dishes. They also have a large ‘gymnasium’ that provides the perfect entertainment for the kids with giant-sized games such as Jenga and connect four, ping-pong, magnetic scrabble, a bowling alley and more. With discounted meals on various days for kids as well as um’s groups and school holiday activities, it;s easy to see why this is a family favourite of the Northern Beaches! Make sure to drop in on the weekends too for activities ranging from face painting to live reptile demonstrations. The Belrose Hotel offers a massive variety of meals, including bannana bread, pizza and so much more. The kids can have fun with their school holiday activities such as dance, arts and craft and even a magic show! The kids will love it! The Hunters Hill Hotel is an amazing place to take your family for breakfast, lunch or dinner. There is even face painting and magician, along with kids eat FREE on Monday and Wednesday and much more! There are kids entertainers from 6-8pm on Saturday, and 12-3pm on Sunday. Here is our list of kid friendly restaurants in the Northern suburbs of Sydney. The kids will love it at the Ranch Hotel. With a outdoor playground, ping pong tables, a kids club, and much more. The Ranch Hotel will fail to disappoint. With wonderful food on the menu, it will please even the fussiest of eaters. 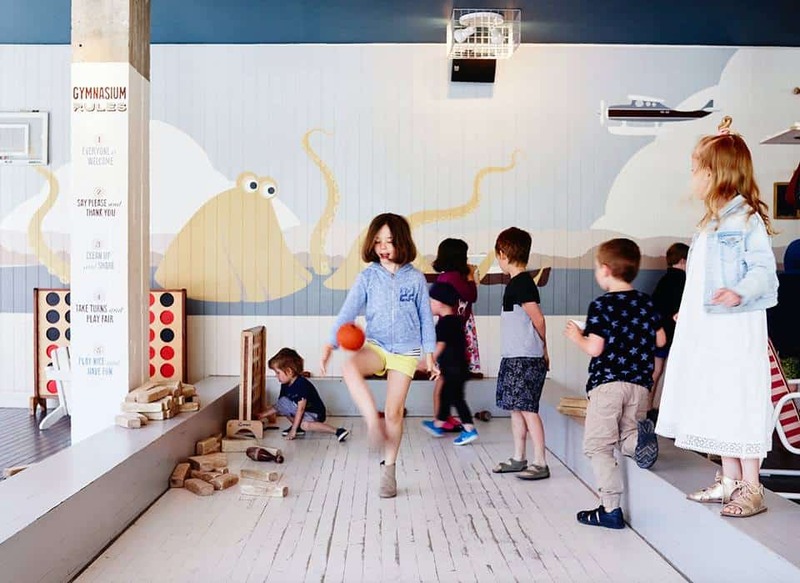 The Castle Hill RSL is an incredibly child friendly, relaxed environment where all visitors can have a wonderful time. There is a new fabulous undercover play area at least four storeys high!